MADISON dress is a design which will make you feel smart and glamorous wherever you turn to. 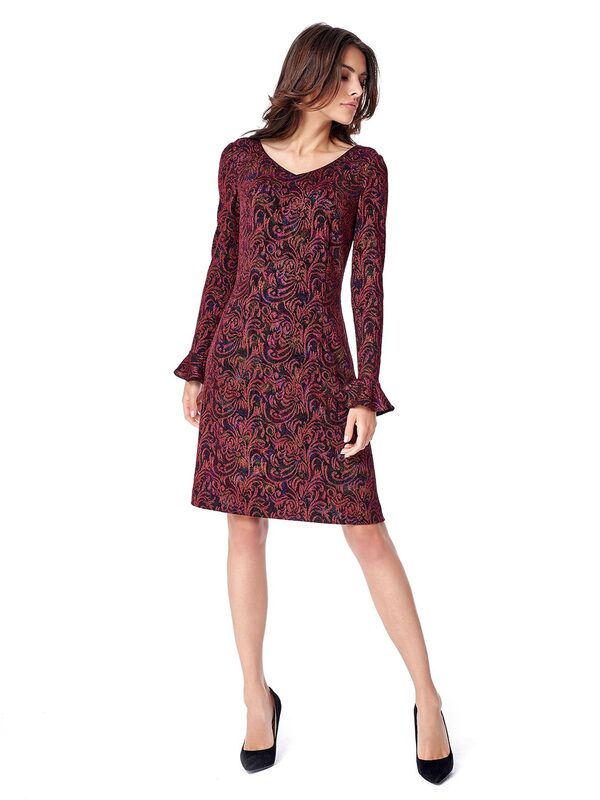 The flounced sleeves and fancy print make for its charm. If shone with a beam of light, it can sparkle with a multitude of fashionable colours.